There are many CMS platforms, but WordPress wins by a big league. The plus point of WordPress is that it is easy to create a website and it comes with added themes and plugins to let you customise your website like no other. 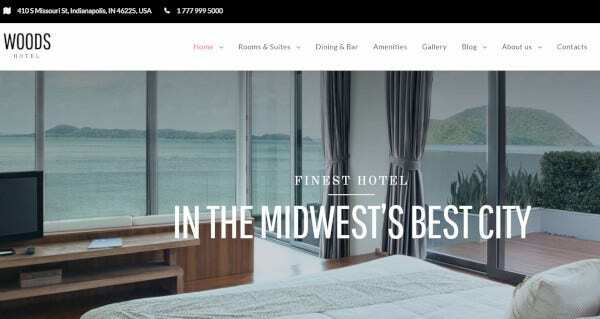 The ultra SEO friendly theme is has a responsive design, includes a booking portals, a room search form, shortcode support, fullwidth mode, is cross-browser compatible, has parallax image and video scrolling sections. The theme is built with Bootstrap 3.x. and 4.x to support shortcodes automatically. It also has a boxed/full width mode and is HTML5 and CSS3 coded. This resort and hotel theme will help you showcase your resort. This theme has a unique drag & drop homepage layout, is fluid responsive. The jet plugins available for elementary page builder help you to customise the theme to your liking fully. It is an easy one-click installation theme. Jet Plugins pack includes Jet Elements, Jet Tricks, etc. Doors 4.0 is compatible with WordPress 5.0. 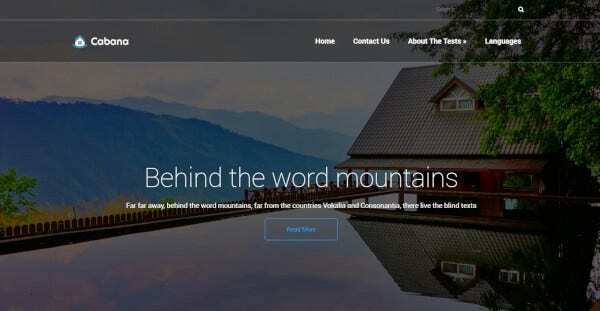 The theme includes elementor, powerful options panel, one click demo import, SEO optimised, Google Font, clean code, contact form and is retina ready. It is built with Bootstrap 3.2, HTML5 and CSS3 ready, and has a parallax effect. The mobile responsive theme has a fullscreen slider. This WP theme is built with elementary and is WooCommerce ready. It comes with a booking system and automatic seasonal booking system. More Payment gateways can be added with WooCommerce Payments Addon. You can create coupons, and at the payment page, visitors can see all the taxes and charges before booking a room. 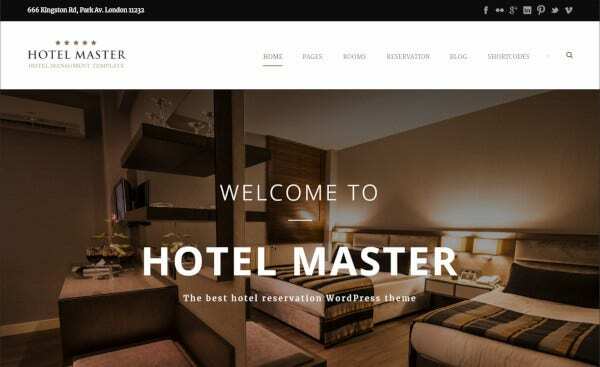 The theme was build by some awesome plugins like slider revolution, visual composer, WooCommerce, and many more. It has 80+ handcrafted elements. and 6 multiple blog types. The whole theme is responsive and retina ready. It comes with unlimited colours and pre-made skins. Primo is mobile-friendly, includes Jet Elements plugins and JET Menu. It comes with 4 amazing headers, 3 different kind of footers and 4 kinds of blog layouts. It has fully integrated Google Fonts and is well documented. It is SEO optimised and comes with bonus images. Like all other WordPress themes, this one is also easy to install. The theme is extremely flexible and can be easily customised to one’s liking. With the WordPress theme customizer, you get to see a live preview of the theme before actually applying the theme. The theme has unlimited colour options for your resort or hotel style. It has portfolio layouts, blog layouts, content composer, section options and many more. 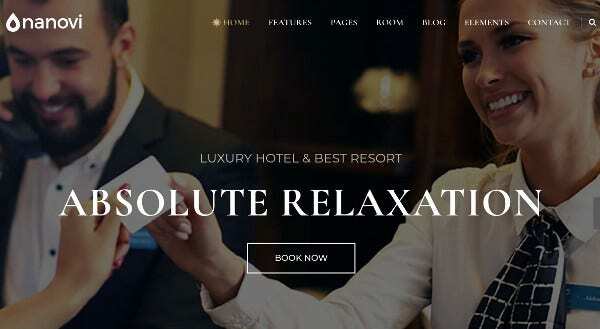 HotelBliss is a fully customizable super responsive one page WP theme which is SEO optimised, and CSS3 read. The theme has a unique look to it due to its drag and drop homepage. 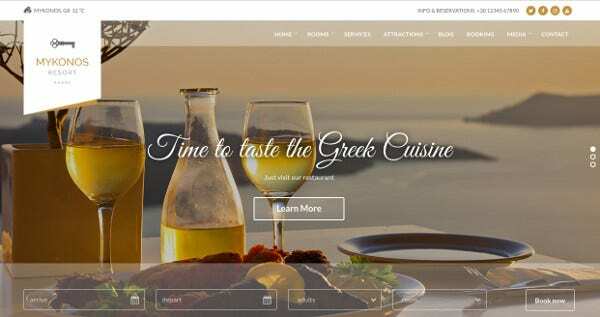 It has a pre-built blog type layout, has multiple layout option and a restaurant menu. It gives a unique look to your website. The plus point about this theme is that it can be installed with one single click. 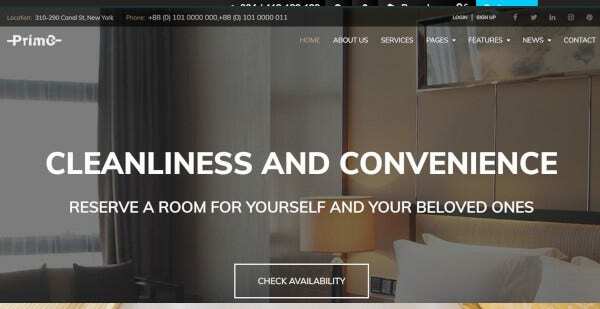 The layout is responsive, and it has a fully integrated booking system, where guests can complete booking within the website. There are 85+ payments gateway options. The theme is compatible with iCal to sync the bookings automatically. 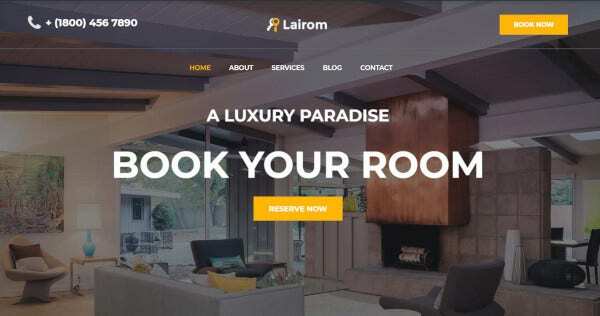 With an integrated booking system, this a must-have theme for your hotel website, the plugin offers flexibility to booking and has a sleek gallery design to showcase your resort and the amenities it has to offer to its guests. It has multiple layouts and widgets for increasing the functionality of the website. 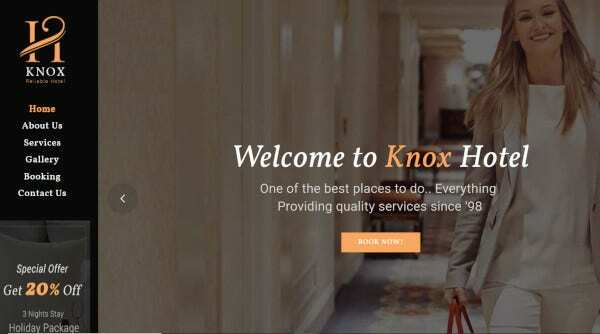 The Knox theme is one of the best WordPress theme out there with various elements and visual composer. The visual composer has a unique drag and drop editor to make customisation a piece of cake for a person with no codec skills. It has some beautiful slider options and unlimited footer styles. 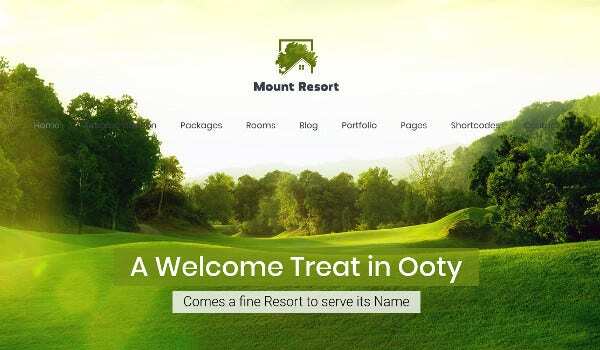 The eye-catching theme comes loaded with customised web pages. It loads super fast, is responsive and it supports all browsers. The WordPress theme is SEO friendly and includes all the important widgets like social media, audio player, video widget and colour picker. It has excellent typography with a wide array of font styles. 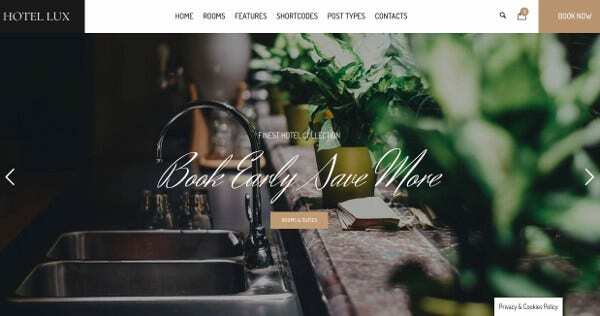 This WordPress theme has ajax feature which means you do not have to refresh when re-choosing rooms. There is also an option for you to create coupons where you can specify the discount rate, the expiration date etc. The latest version of Hotel Master has iCal support and the ability to block specific rooms completely. The WordPress theme is developed on bootstrap 3.3.5. It is an ultra-responsive theme with valid HTML5 markup and CSS3. It has a modern and sleek design. The theme has been so optimised to be compatible with all browsers. The theme includes 15+ pages. It also comes with an integrated flexible booking system. 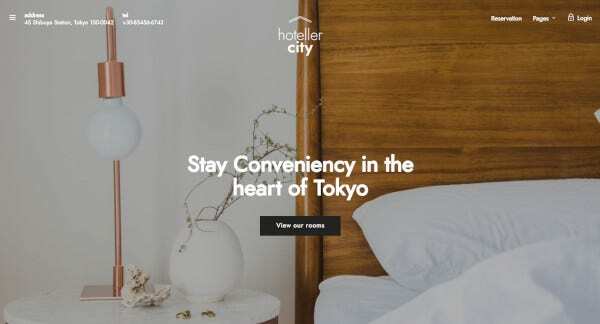 The plus point of this theme is that it has an integrated booking and reservation system. The theme is based on bootstrap, and the entire layout is responsive. The customisation is possible due to the powerful options panel. You can modify the input forms, colours. It has 7 custom post types, unique designs, some organised home page layouts and many more. 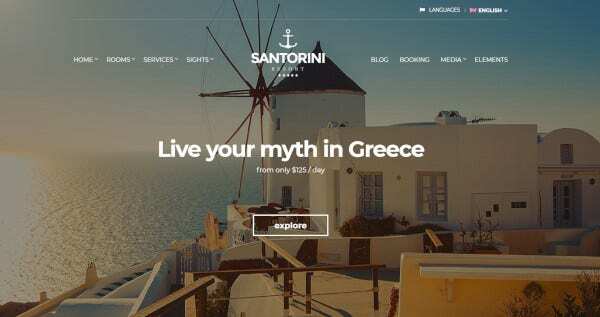 Sanotirini Resort is a beautiful WordPress hotel theme which is mobile friendly and fully responsive. It has an integrated booking system for the convenience of the guests. It has various options in colour and element display. It is multilingual, has a special weather reporting feature. Other features include galleries, testimonials etc. The theme is also retina ready. The theme is easy to install and customise. You do not need to be a programmer to keep the website up and to run. It comes with premade pages and is fully responsive. The theme also comes with a blog feature. It has SEO integration and a wide array of fonts to make your website look visually appealing. 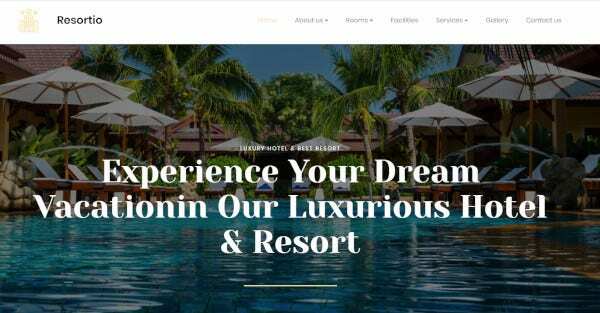 With advanced typography options and extensive documentation, it is one of the best WordPress themes for resorts and hotels. The theme allows you to create sidebars as many you want. Quickly install it and get ready to use it from the get-go. After installation, there is support for demo content import. It allows you to customise the website to your liking. This WordPress theme is perfect for turning visitors into loyal customers. 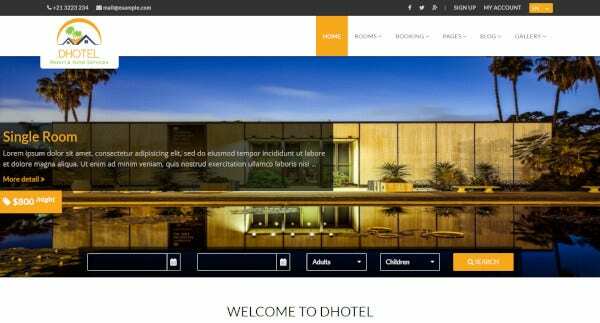 The theme is multilanguage, fluid responsive, and speed optimised, search engine optimised, and has a professional look to it with blog style layout. It has powerful options panels and comes with one-click demo import, booking request form integration and awesome icons. This amazing theme has packed some brilliant features. The theme is multilingual, supports translation, WooCommerce, Ecwid, and is compatible with all versions of WordPress. To make your site colourful, it has multicolour related posts. It is shortcode ready and also has Google Maps shortcodes. The theme loads super fast and is Search Engine Optimized. This WordPress theme is 100% responsive, and has been designed with only 3 colours – white, blue and grey. 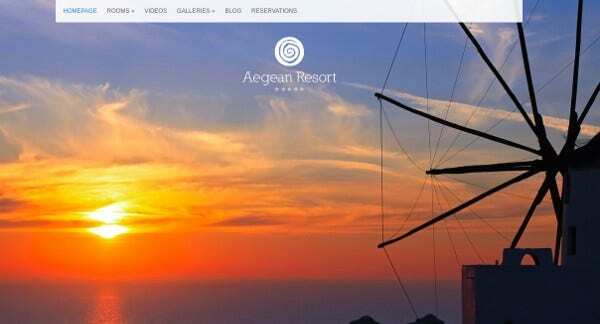 It is a professionally designed resort WordPress theme that can be installed with no fuss. The theme has a custom menu option and has an antispam feature without any annoying captchas. It is based on SMT Framework 2.0. In recent times, if you own a business, it is important to have website where you can showcase the services you provide. It is important because it allows a person to verify how legit your business is and it bridges the distance, helps the customer to understand what you are offering and connect with you.